With over 70 years experience Flecks Cakes are a well established, family run business in Darwen, Lancashire. 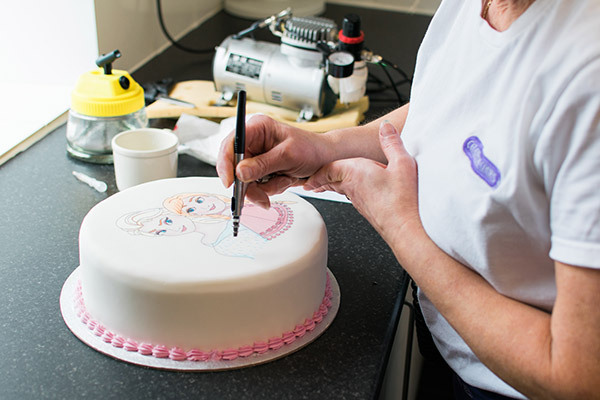 We specialise in providing you with fresh, delicious handmade celebration cakes and pride ourselves in the quality of both our service and product – promising to satisfy those taste buds as well as please the eye with that personal touch! Founded in 1974, and headed by Bill Fleck, Flecks Cakes are going from strength to strength. 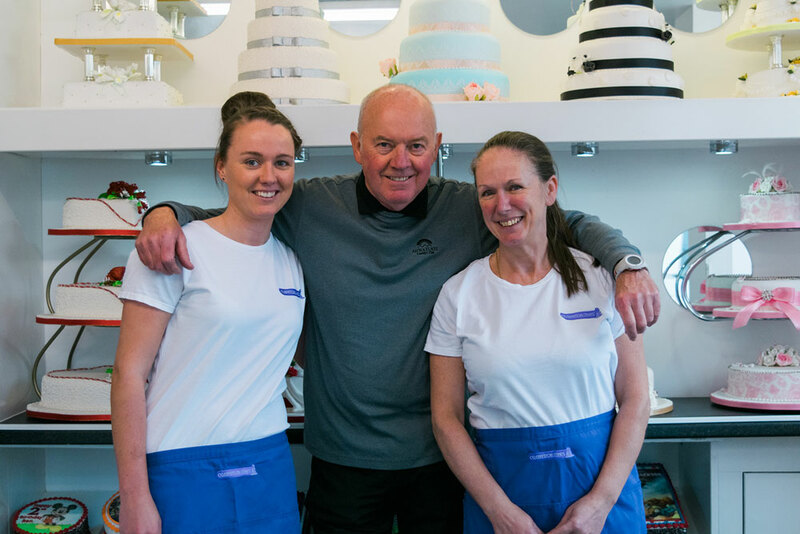 With over 70 years of experience in baking, together with his wife Terena and daughter Sammy, Bill has formed an established family run business in Darwen, Lancashire. 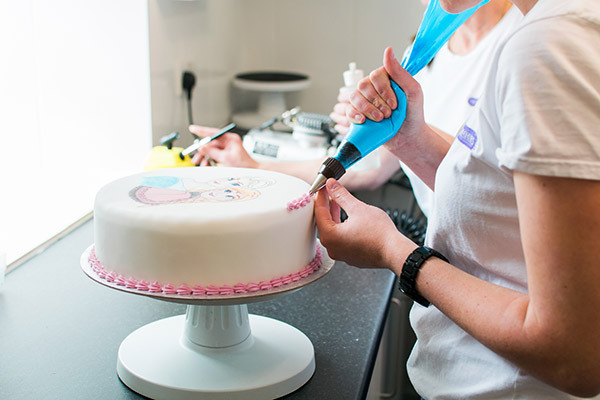 Flecks Cakes are passionate about creating bespoke and delicious works of art for all occasions including birthday parties, weddings, christenings, baby showers, corporate events and many more. And as they are unique with their taste and designs (you will not find them anywhere on the market) everyone will know when you have been to Flecks Cakes. The classic cake recipe with our own twist. Our cakes have four moist layers of freshly baked vanilla sponge, filled with our delicious cream which is whipped giving it a delicate and light consistency and two layers of luxury mixed fruit preserve. Perfect for all of those chocoholics out there! Four luscious layers of moist chocolate sponge all filled with Bills new and perfected chocolate cream recipe. Enjoy this cake with chocolate sprinkles around the side for an even more chocolaty taste! Made from Bills long-established recipe this luxury cake is sure to be enjoyed by all fruit cake lovers! Containing over 55% of luxury fruit, these cakes are made with Bills traditional methods so that they are perfectly matured and decorated ready for your special day. Established since 1974, you can trust Flecks Cakes. With over 70 years of experience in baking together with his wife Terena and daughter Sammy, Bill has formed a reputable family run business in Darwen, Lancashire. 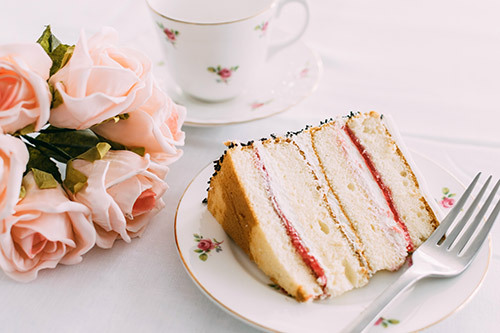 If there is one thing you can relax about on the run up to your big occasion it’s your cake – when you order with us. Renowned for their irresistible taste, Flecks Cakes use only the finest ingredients available. To ensure the best quality in their service and taste Bill and his team specialise in just three delicious and perfected recipes which are created fresh to your order. Flecks Cakes strive to make not only beautiful works of art but also delicious cakes that you can eat and enjoy, after all that is what a cake is for – is it not? Forget the mass produced cakes which are produced weeks (if not months) in advance, choose Flecks Cakes and support a local family business. As well as the great tasting cakes produced at Flecks Cakes, the quality of detail and design is second to none – which you won’t find anywhere else! 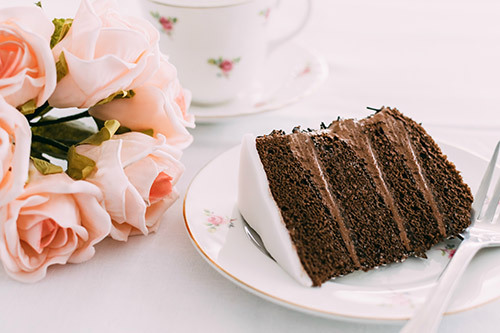 Our cakes are truly unique and our traditional methods will give your cake that loving and personal touch – not forgetting at fantastic prices! Flecks Cakes also listen and understand their customers, and know how work, family and lifestyle commitments mean that people often forget or leave things to the last minute. This is why Flecks have cakes available at short notice with their new simple online ordering system – you can order and pay online to take the hassle away.